R.4: Communities, non-governmental organizations and local authorities participated actively in the nomination process and the communities provided their free, prior and informed consent. Nomination File # 00870 on Qvevri Method may be downloaded here (MS Word). Application and consent letters from Georgian organizations related to qvevri can be viewed here (PDF file, in Georgian and English). UNESCO points out that the Representative List of the Intangible Cultural Heritage of Humanity serves to raise awareness of intangible heritage and provide recognition to communities’ traditions and know-how that reflect their cultural diversity. The List does not attribute or recognize any standard of excellence or exclusivity. 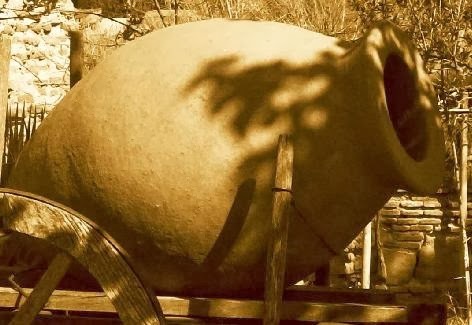 "We want the tradition of making of the Georgian wine, which is called qvevri wine to be included into UNESCO's List of Intangible Cultural Heritage this year," Georgian Foreign Minister Maia Panjikidze said last month visiting UNESCO HQ in Paris. Georgia joined UNESCO Convention for the "Safeguarding of Intangible Cultural Heritage" in 2007. The Georgian folklore has already been included in the list of the world's intangible cultural heritages. The Intangible Cultural Heritage programme was established in 2008, when the Convention for the Safeguarding of Intangible Cultural Heritage took effect.